Henry Holt and Co. (BYR), 9780805098839, 64pp. Whether they're dashing, splashing, munching, or crunching, baby animals are ever-exploring! At home in their natural habitats, baby animals learn about the world that surrounds them. When the fun is done, it's time for baby animals to go to sleep. After all, every baby animal has to rest. Karen B. Winnick is a children’s author and artist, animal enthusiast, and president of the Los Angeles Zoo Commission. Her books include Good Night, Baby Animals—You've Had a Busy Day, Gemina, the Crooked-Neck Giraffe and Mr. Lincoln’s Whiskers. She lives in Los Angeles, California. Laura Watkins is also an animal lover. 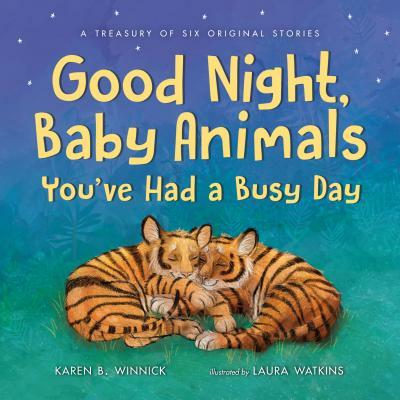 She has illustrated a number of picture books, including Good Night, Baby Animals—You've Had a Busy Day by Karen B. Winnick and Can You Yawn Like a Fawn? by Monica Sweeney with Lauren Yelvington. She lives in England.